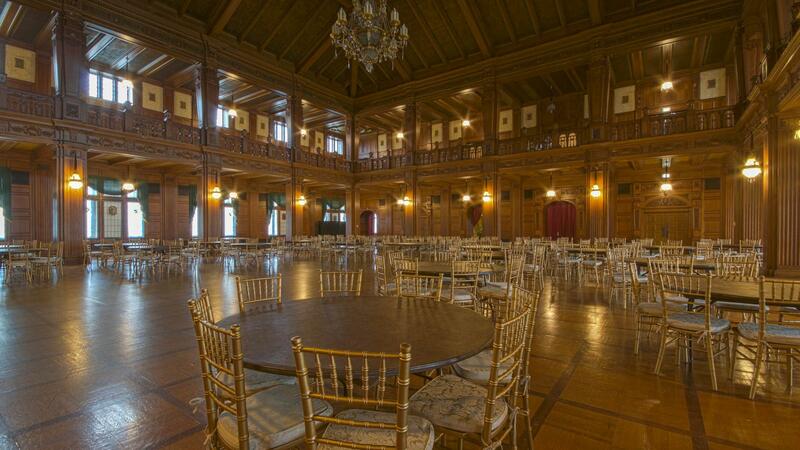 Rent Scottish Rite Cathedral | Corporate Events | Wedding Locations, Event Spaces and Party Venues. The Scottish Rite Cathedral has become one of the most sought-after locations in downtown Indianapolis. From wedding ceremonies and/or receptions, to corporate events and social gatherings, the Scottish Rite Cathedral is the ideal venue for your next event. This beautiful gothic 1929 building offers over 116,000 square feet of event space with an elegant Ballroom, a spacious Grand Hall, a state-of-the-art Theatre, the South Lounge, and several small meeting rooms of various sizes. Catering for the Scottish Rite Cathedral is exclusively provided by, Thomas Caterer's of Distinction. The Scottish Rite Cathedral offers an elegant Ballroom, spacious Grand Hall, beautiful South Lounge, 1000 person Theater and several meeting rooms of various sizes. Learn more about what each room has to offer here. Thomas Caterers' culinary expertise and highly trained service staff, surrounded by the elegant style and timeless beauty of the historic Scottish Rite create a memorable event from beginning to end.